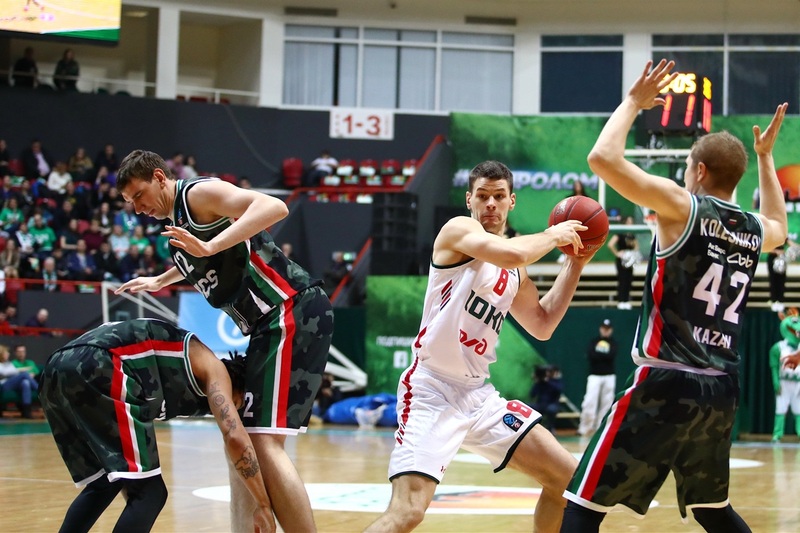 In an all-Russian showdown to open the 7DAYS EuroCup Playoffs, host UNICS Kazan walloped Lokomotiv Kuban Krasnodar 86-66 in Game 1 of their best-of-three quarterfinal series on Tuesday. 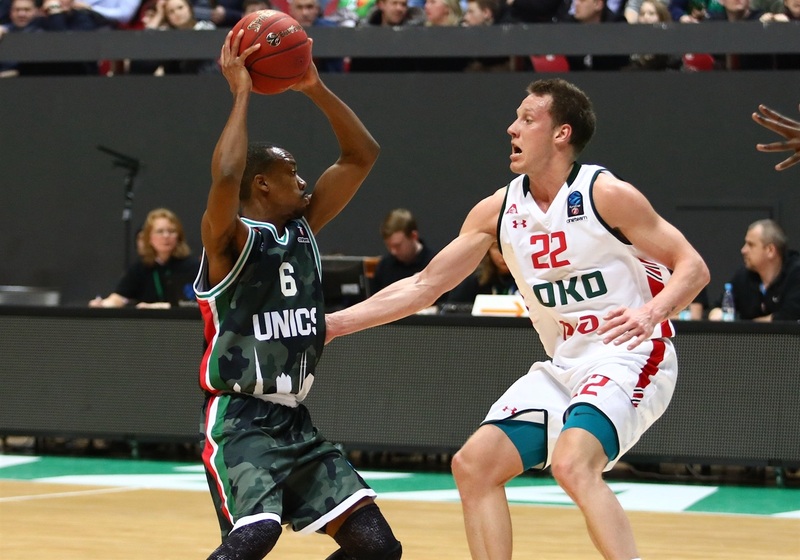 UNICS has a 1-0 lead, but Lokomotiv hosts Game 2 on Friday. 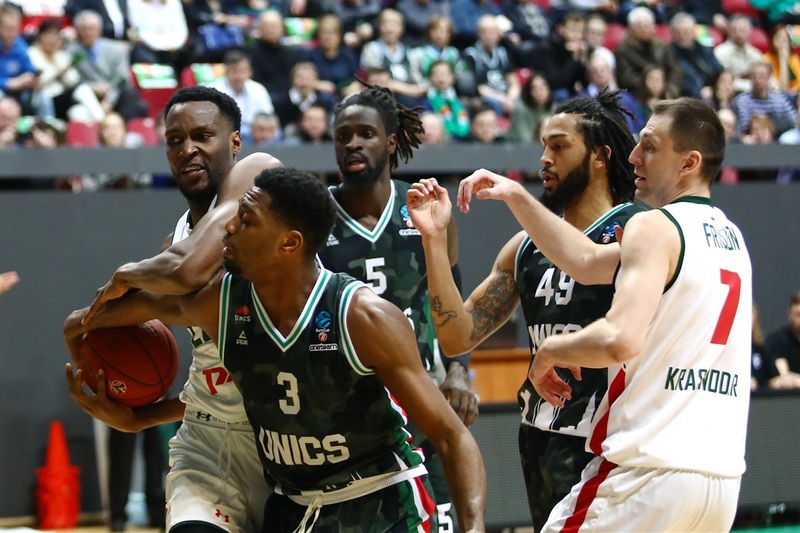 A win would send UNICS to the semifinals for the first time since 2015. Errick McCollum paced the winners with 32 points in a record-setting performance that included 15-for-15 free throw shooting. Pierria Henry added 18 points and 9 assists, while Raymar Morgan scored 10 for UNICS. 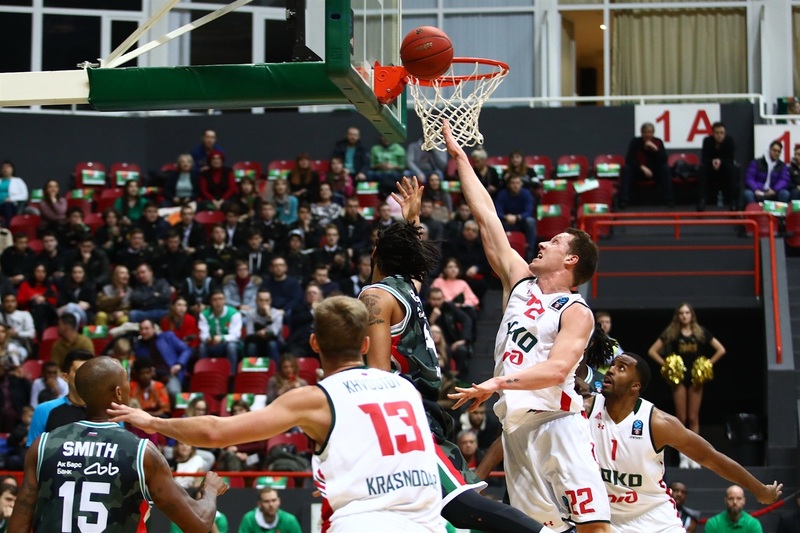 Dmitry Kulagin led Lokomotiv with 17 points and JaJuan Johnson added 16 for the guests. 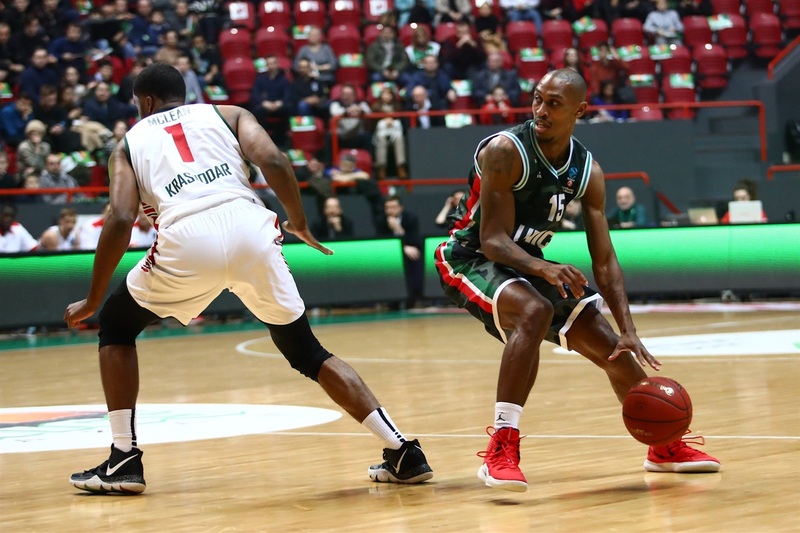 Henry shined early as UNICS led 18-14 after 10 minutes, while McCollum helped keep a 41-38 margin at halftime. 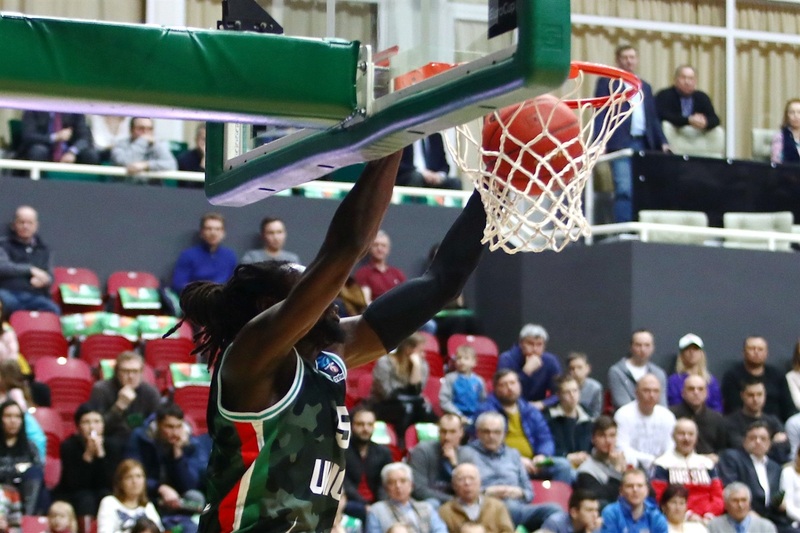 Both took over after the break, as UNICS boosted its margin to 66-50 after 30 minutes and cruised to a well-deserved win. Henry hit a floater and fed Evgeny Koleshnikov for a fastbreak layup, igniting a 7-0 UNICS run that Melvin Ejim capped with a triple. Kulagin scored in penetration, Johnson struck from downtown and a driving layup by Dmitry Khvostov brought Lokomotiv within 9-7. Morgan hit a jumper and Jamar Smith added a three-pointer, good for a 14-7 UNICS lead. 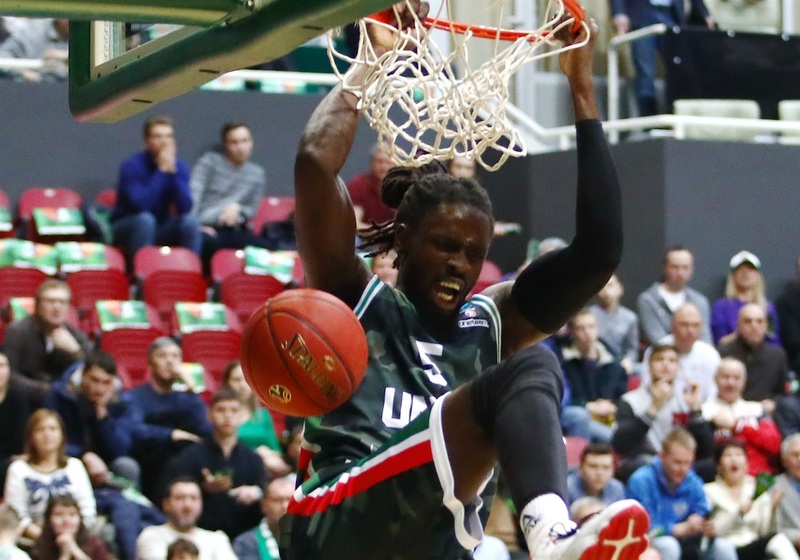 Jamel McLean and Johnson had 5 points for Lokomotiv, but Henry and Maurice Ndour restored a 18-12 UNICS margin. A catch-and-shoot jumper by Johnson fixed the score at 18-14 after 10 minutes. Trevor Lacey and McCollum traded baskets early in the second quarter. Mateusz Ponitka dunked before Lacey tied it and Vitaly Fridzon's wild three-point play gave Lokomotiv its first lead, 22-23. 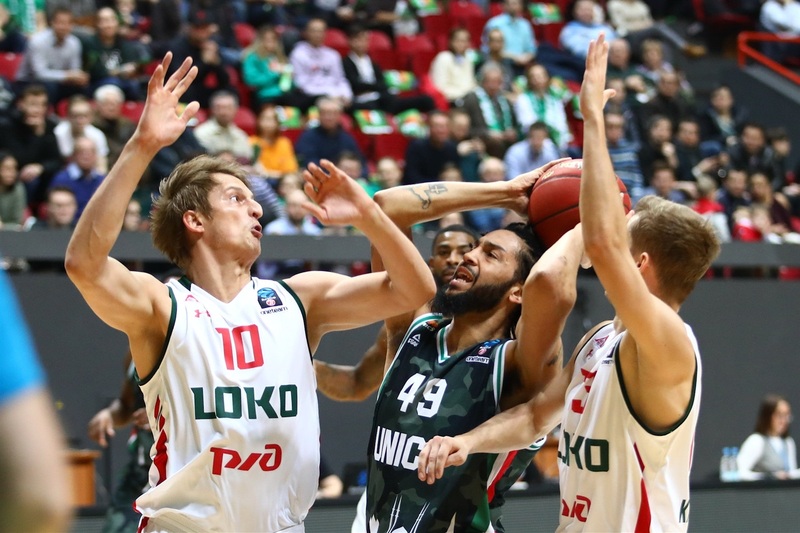 McCollum followed a three-point play with a bomb from beyond the arc for a 30-25 UNICS lead. Kulagin downed back-to-back triples but a jumper by Anton Ponkrashov and three-point play by Ejim gave UNICS fresh air at 35-31. Ndour detonated consecutive alley-oop slams, but Kulagin and McLean kept Lokomotiv within 41-38 at halftime. A layup by Ponitka and a turnaround jumper by Johnson made it a one-point game, 43-42, soon after the break. McCollum hit a jumper and followed Morgan's layup with a triple before a basket by Kostas Kaimakoglou forced a Lokomotiv timeout at 52-45. Henry kept it going with a coast-to-coast layup and a turnaround jumper for at 56-45. He and MCollum then took over to break the game open at 66-50 after 30 minutes. Smith buried a three-pointer early in the fourth quarter, getting help from McCollum and Morgan to make it 73-52 with 7 minutes left. By the time McCollum hit his third three-pointer at 80-55, everything was said and done already. Henry dominated from the point guard position, beating every defender that Lokomotiv tried against him. He finished with 18 points on 8-of-13 two-point shooting to go with 6 rebounds, 9 assists, 2 steals and 5 fouls drawn for a PIR of 30. 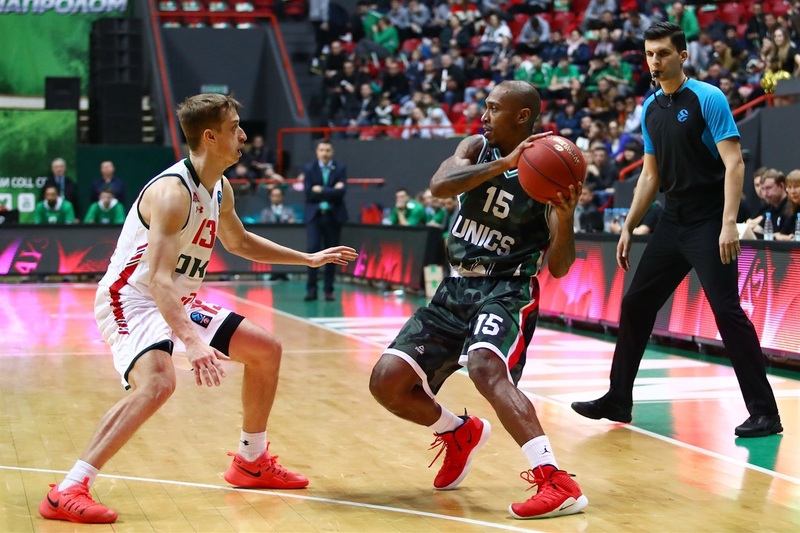 Lokomotiv trailed 47-45 early in the second half when a three-pointer by McCollum sparked an 11-0 run in which Henry scored three consecutive baskets that boosted UNICS's lead to 58-45, enough to control the game thereafter. UNICS tied the EuroCup record for most free throws without a miss by making 22 of 22. Three teams had hit 22-of-22 free throws previously: Alba Szekesfehervar against PAOK Thessaloniki on October 23, 2013; FMP Belgrade against Adecco ASVEL on January 31, 2006; and Buducnost against Spirou Charleroi on November 16, 2004. McCollum made all 15 of 15 free throws that he took in Game 1. That gave him a new all-time record for most free throws made in playoff game. Those were also the most free throws without a miss in the EuroCup since February 20, 2013, when Malcolm Delaney hit 16 of 16 foul shots playing for Budivelnik Kiev against Triumph Lyubertsy. 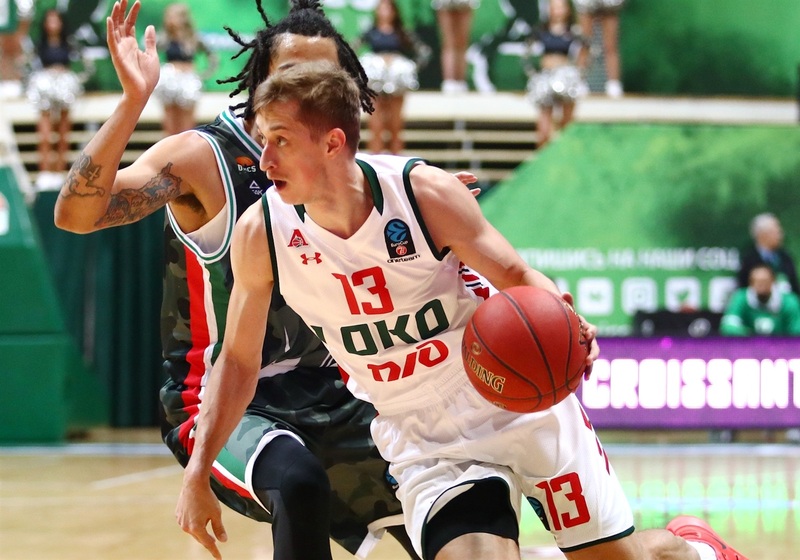 Lokomotiv's Dmitry Khostov played in his 131st EuroCup game, moving into second place behind Valencia Basket's Rafa Martinez (141) for the most in competition history. Khostov broke his tie with Vladimir Veremeenko (130). In fact, Khostov has been present for more EuroCup games (144) than any player, but he did not see action in 14 of them. "Congratulations to the players. We are in the middle of this game, at halftime, right now, and we know we will have a very tough game over there. We have to make our preparation not only tactically, but also mentally. We scored 86 points but having only 6 three-point shots, without an extremely good percentage, and were good in many aspects of the game." 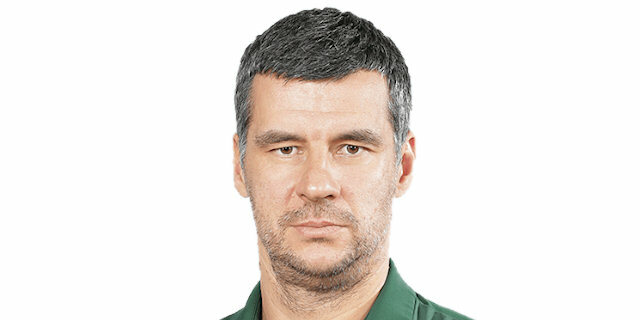 "Lokomotiv is a good team and you need to play for a long period at a good level. In the second half, we fixed some issues that we had, mostly in transition defense. We had energy and were effective, but it is just another first step. We need to get one more win, so we have to go there. I know they will be very motivated and it will be a very hard game. Errick played like this not only today, but in many games like against Rytas or against Loko in the VTB League, but everybody contributed. It is a collective work and I am glad for this win. We have to stay humble and go to the next game. Henry was hit on the shoulder, but hopefully it is not a serious injury." "I am satisfied with the first two quarters. We had a couple of problems, especially offensive rebounds in the second quarter and pick-and-roll defense against Ndour two times in a row. We needed a reaction in the second half, but when we came out on the court we didn't have much more aggressiveness on defense. 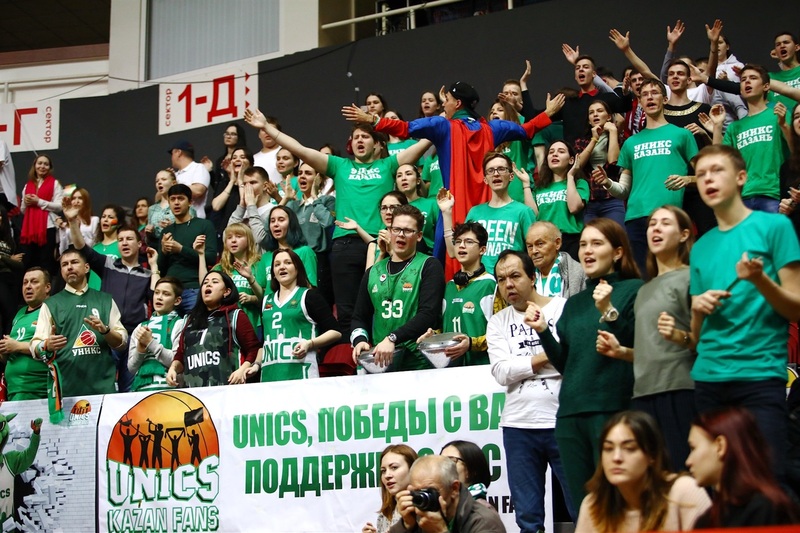 At the same time, UNICS raised its level of aggressiveness, especially in pick-and-roll and screen defense; we didn't have easy shots in the second half. We tried to find five players who had enough aggressiveness on defense to stop their offense; I made a lot of rotations, all 20 minutes, trying to find them. In the end, it is a big difference, 20 points, but it is just the first game. I hope we will have a reaction after this game." "I think that Coach gave me more minutes today and I just tried to take advantage of it. It is playoffs time and I think this is when you have to step up and play your best basketball. My teammates did a good job at giving me the ball and set excellent screens and I was fortunate to hit shots. When I go into the game, I just think about being aggressive. I always have to be in attack mode and looking to create something. Sometimes it is going to be scoring, sometimes it is going to be me maybe drawing a double team and finding the teammate. Today, they played one-on-one and I took advantage of it. We are a strong team at home that will wear you down physically. We played good defense and I think they only scored 28 points in the second half. That's just the story of us. We are a second-half team: we are deep and wore them down, we have a lot of players that can play and it is kind of hard to key on one person, we have many options."